Daily life takes its toll on your hair. Pollution, environmental stress, chemical treatments and daily drying and brushing routines are all detrimental to healthy, beautiful hair. Likewise, the passage of time also does damage, since hair gradually loses keratin, the unique protein that provides our hair with elasticity, shine and density. protein that provides our hair with elasticity, shine and density. Lakmé has developed the innovative anti-aging i.plex system, which includes the structural elements needed to preserve the internal architecture of hair and fight against the aging process. With a unique keratin complex, Keratec™ imitates hair fiber, thus strengthening and reconstructing hair from deep within. i.plex doesn’t just defy the passage of time. 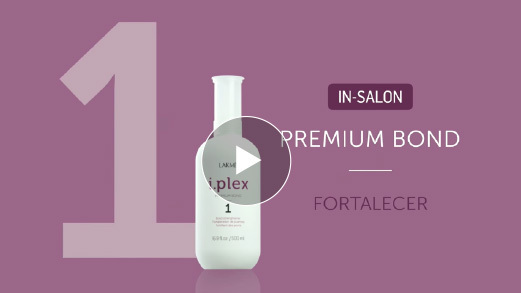 Its one-of-a-kind plex formula provides visible results in the health and beauty of hair. 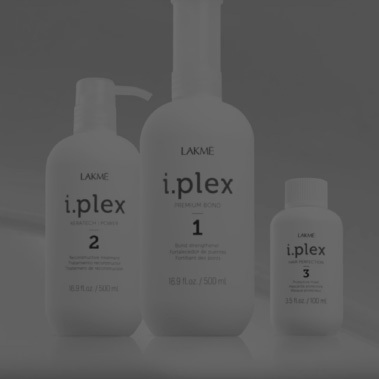 The i.plex treatment consists of 3 simple steps that start in the salon and end at home. Premium Bond strengthens disulfide bridges and increases the stability of hair (44%) during reconstruction or chemical treatments. Keratech i.Power offers deep reconstruction of the internal structure of hair (94%) and repairs hair fiber. It also provides protection, shine, softness and hydration. The Protective Mask offers intense protection and repair for perfect hair. It works to prolong the results of salon treatments, acting gradually for a lasting and natural effect. Now that you know the importance of following a healthy hair routine, let the experts get to work and show us the results of i.plex on your hair. It will be nothing short of a turning point. #lakmehair. i.plex defies the passage of time.